Real Estate Agent Susan Rindley was just ranked #1 in Broward County for ONE Sotheby’s Realty for 2017 and also ranked #2 in the Company. Susan, who is a South Florida native, is a specialist when it comes to selling Luxury Condos and Waterfront Estates in South Florida. Susan sells the South Florida lifestyle while selling homes from Fort Lauderdale to Miami Beach and also up to Palm Beach. Susan is a local expert real estate concierge and sets records on a regular basis. Susan has sold one of the highest priced properties off Las Olas Blvd. in Fort Lauderdale for $12.25 million and a home on Hillsboro Mile for $13.5 million. Some of Susan Rindley’s other sales include a $4.8 million estate in Harbor Beach, a $5.6 million estate in Sunrise Intracoastal, 321 Water’s Edge for $3.4 million, a condo at Paramount for $3.2 million, and a L’Hermitage residence for $3.1 million. Susan is goal oriented, and as a result, she is now in the Top Producer Circle for 2018, a prestigious honor from One Sotheby’s International Realty. 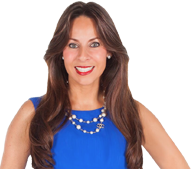 Susan is also ranked by REAL Trends Americas Best Real Estate Agents as number 87 in the state of Florida. Susan is known throughout the real estate world for being a luxury property expert, and has been interviewed by NBC’S OPEN HOUSE, The Wall Street Journal, and Extra. Susan is currently working with over $50,000,000 in real estate transactions to date. Susan prides herself in her ability to provide clients with a worldwide, global reach while still maintaining a local presence in Miami, Aventura, Weston, Fort Lauderdale, Palm Beach, Delray Beach, Boca Raton, Lighthouse Point, and Bal Harbour. Susan Rindley earned her finance degree from the University of Florida. Her priority is to make a difference in her community and at her workplace. Susan’s charity efforts include 4Kids, Kids in Distress, Royal Dames-Cancer Research, PAWS, Heart Gallery of Broward, and Junior Achievement. Susan Rindley sells “The Dream” worldwide. If you have luxury real estate needs, you can visit http://www.SusanRindley.com – the site is translated in 7 different languages for International customer convenience.